This short video shows how to calculate probabilities corresponding to regions of the distribution of Z, the standard normal distribution. 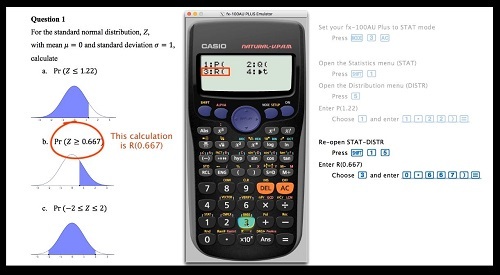 These calculations will be done using the Distribution menu of the Statistics mode of a Casio fx-100AU PLUS. 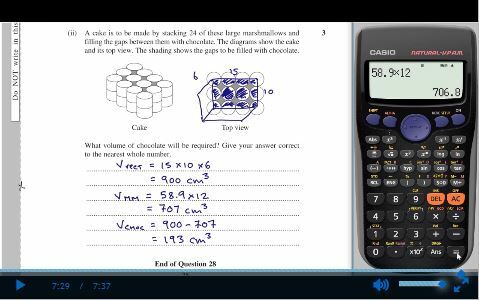 These two videos present an approach to the 2016 HSC Mathematics General 2 examination - Section I. They feature efficient the use of the Casio fx82AU PLUS II, as well as 'by hand' solution methods. A discussion of approaches to questions is shared. The video series is accompanied by pdf solutions. 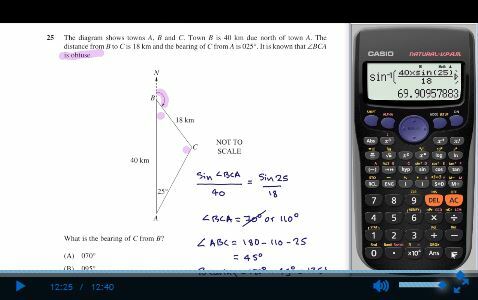 These two videos present an approach to the 2016 HSC Mathematics General 2 examination - Section II, Questions 26 and 27. They feature efficient the use of the Casio fx82AU PLUS II, as well as 'by hand' solution methods. A discussion of approaches to questions is shared. The video series is accompanied by pdf solutions. These two videos present an approach to the 2016 HSC Mathematics General 2 examination - Section II, Question 28 and 29. They feature efficient the use of the Casio fx82AU PLUS II, as well as 'by hand' solution methods. A discussion of approaches to questions is shared. The video series is accompanied by pdf solutions. This video presents an approach to the 2016 HSC Mathematics General 2 examination - Section II, Question 30. It features efficient the use of the Casio fx82AU PLUS II, as well as 'by hand' solution methods. A discussion of approaches to questions is shared. The video series is accompanied by pdf solutions.